So I did some more dye work today. My first was with dark green. You can see the two results in the back. The one furthest is actually my mint P1, the one I was least happy with. I figured an already-green color would work for darkening. I was wrong. 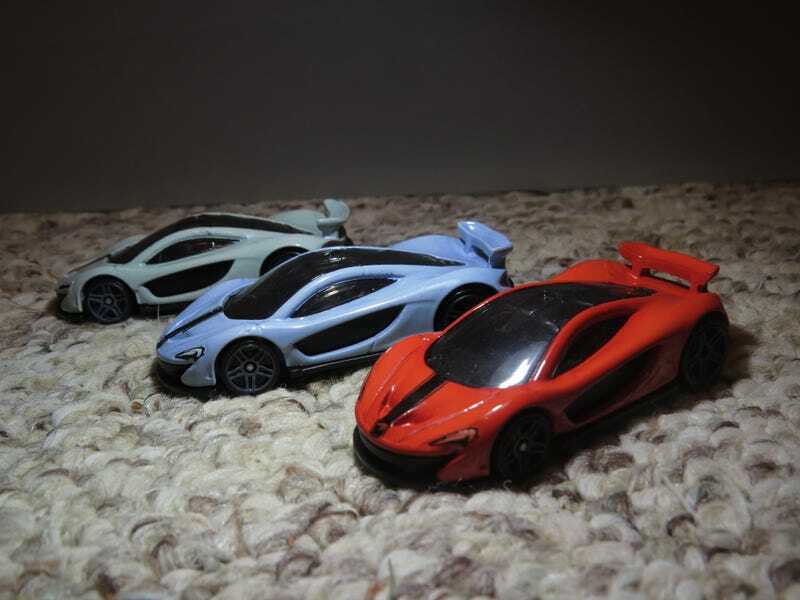 So then I tried with a white P1, seen in the middle. I somehow ended up with sky blue. I really do think this is due to starting with a white car, and at this point if you’re gonna dye your cars, I recommend ZAMAC or Silver. Though things got much better when I did Tangerine. I dunked a white one in, and out came something pretty damned close to Mclaren’s signature Papaya Orange. It’s a bit too close to the strange red-orange P1 from the Forza series, but it works. I’m thinking about getting some yellow or peach dye to briefly drop it in a try to lighten is up to match the Cars ‘n Donuts one with is definitly the right orange, but I’m worried I’ll just ruin it. As for the dark green failures, I’m trying one more method of dying them before I throw in the towel. I’ll keep you all updated.